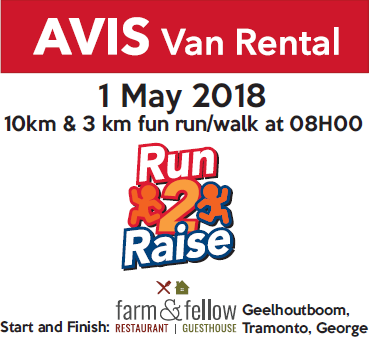 By Hand : Avis van Rental, Tamsui Industria, George ; Sportscentre, York Street ,Eden Meander Mall and Top Gear Sport, George. 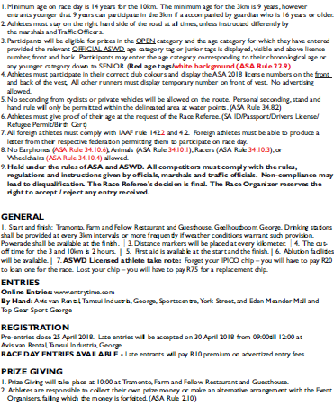 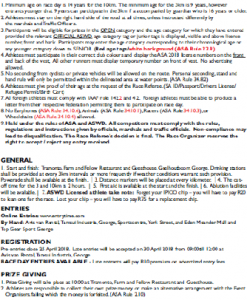 REGISTRATION : Pre-Entries close 25 April 2018. 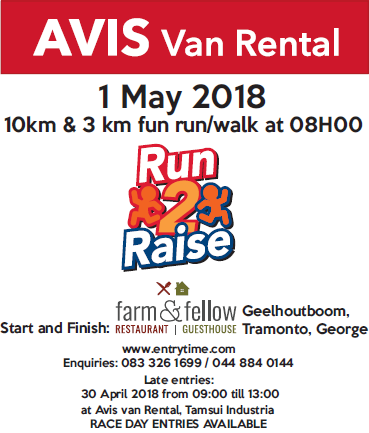 Late entries will be accepted on 30 April 2018 from 09:00 till 12:00 at Avis van Rental, Tamsui Industria, George. 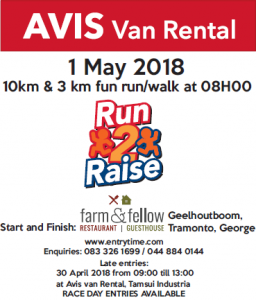 Start & Finish: Tramonto, Farm and Fellow Restuarant and Guesthouse, Geelhoutboom,George.